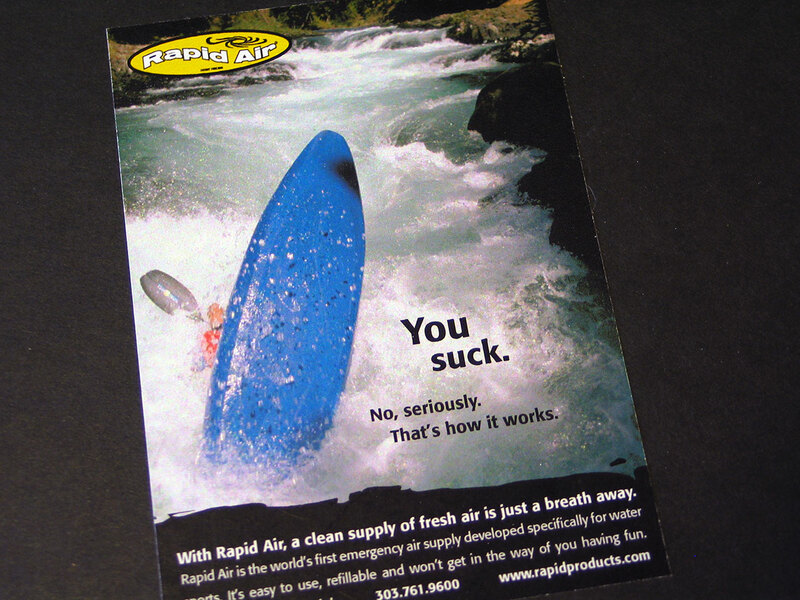 Rapid Air, a product from Rapid Products, is a personal emergency air device for water sports enthusiasts. I created a series of ads that ran in industry publications and were used in large format for trade show displays. The ads used edgy copy and imagery to appeal to the young, adventure-minded target audience.